Today we have Jessica from A Little Gray sharing with us her tutorial on how to make the pockets from her "Howl at the Moon" sportswear design. Hi, it's Jessica from A Little Gray, and WOW- I'm so happy to be back here to share a tutorial this week! I feel especially proud that a boy look won this challenge. I am more comfortable sewing for my boy Hendrix any day- this girly stuff is still pretty new to me! 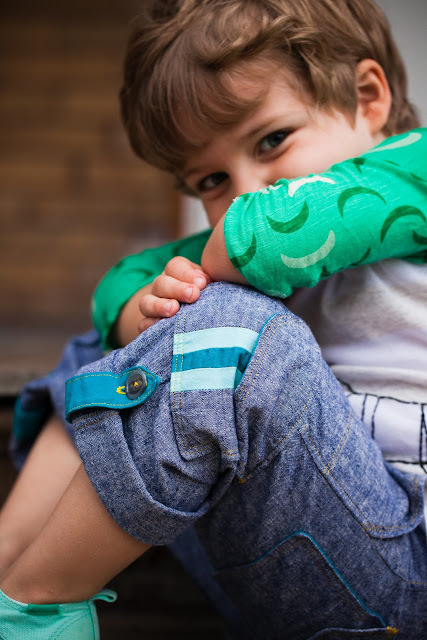 Details are really important in boy clothing. Things like pocket flaps and contrasting topstitching go a long way on a pair of pants, and simple additions like bright stripes kick up the wow factor. So that's what I'm going to show you today. 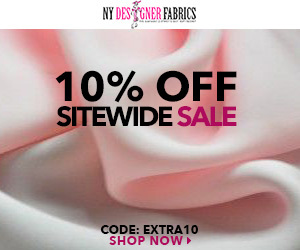 You'll need a main fabric, two or three different colors for the stripes, and a lining fabric. 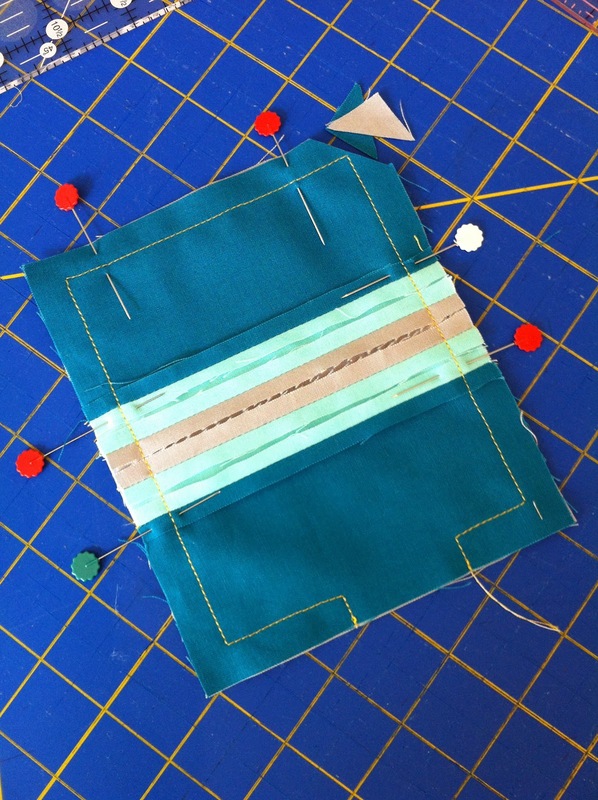 I'll show you how to make one pocket, but of course the amount of fabric required depends on how many pockets you add. My "Howl at the Moon" pants had 4 pockets in this size, 2 on the back and 2 on the sides by the knees. 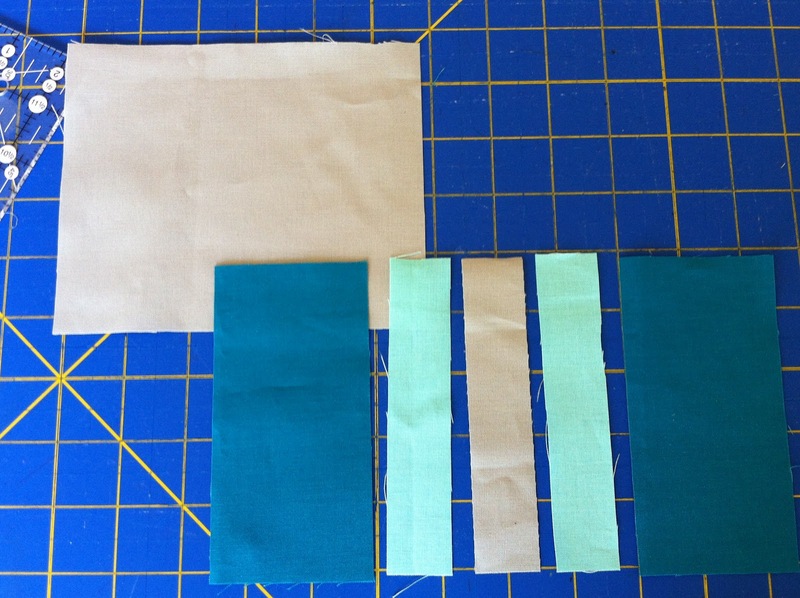 Cut each stripe to 1"x 5." Cut two pieces from your main fabric to 2.5"x 5." Cut one piece from the lining fabric to 6"x 5." 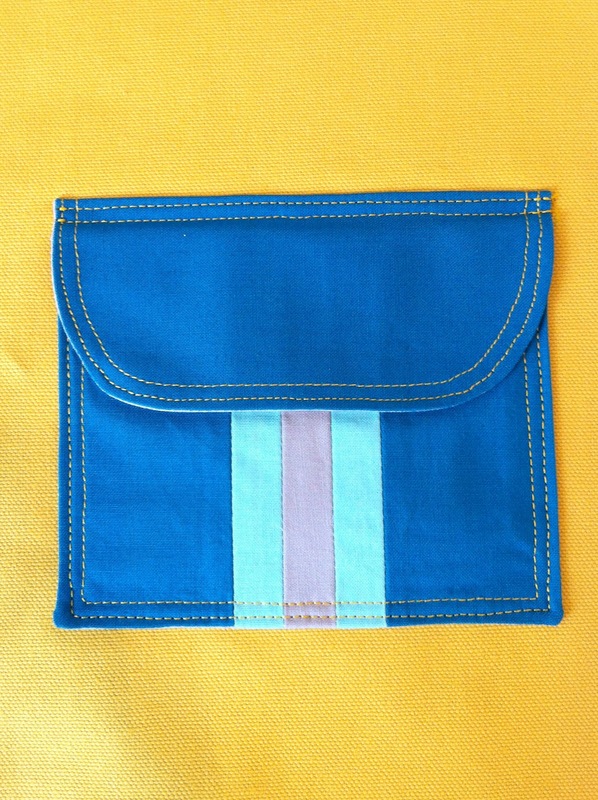 Piece the striped front of the pocket together using a quarter inch seam allowance and press seams open. Pin the front of the pocket to the lining with right sides together. Stitch around the outside with a half inch seam allowance, leaving a couple of inches open on a shorter side for turning. At the beginning and end of this seam, stitch into the seam allowance right up to the raw edge, like a little tunnel for turning. 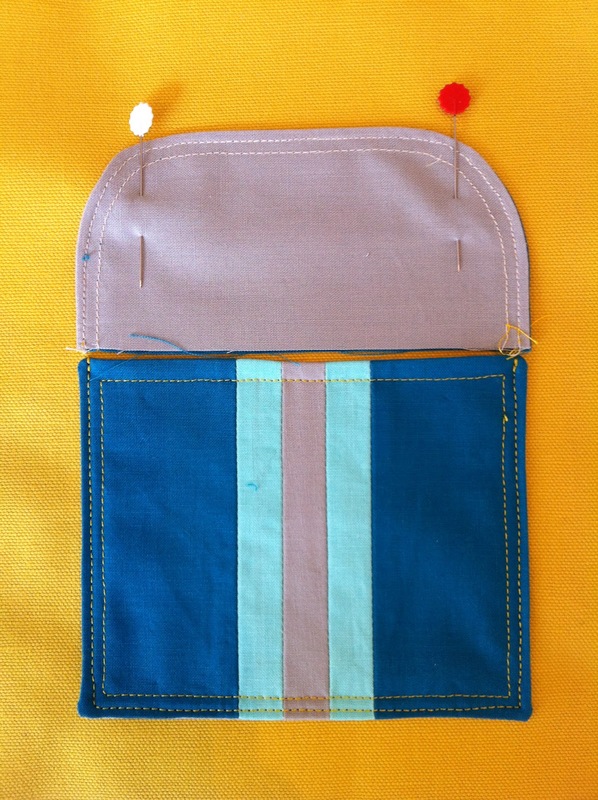 This makes it much easier to get the seam allowance evenly tucked inside whatever you are turning. 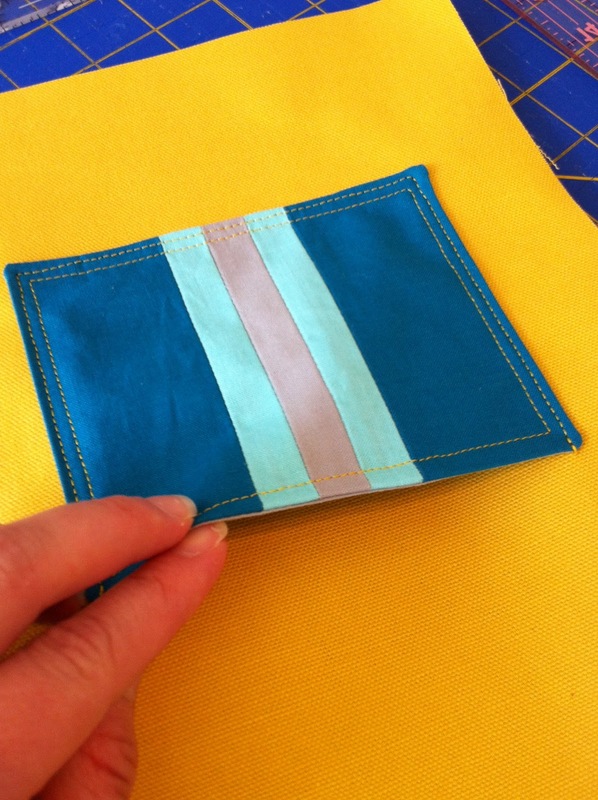 Clip the corners off, trim seam allowance to 1/8" except at the opening, turn right side out. Use a chop stick or turning tool to poke the corners and edges out while pressing. Topstitch around the sides and bottom 1/8" from the edge, leaving the top open and reinforcing at the beginning and end. First make your flap pattern piece. 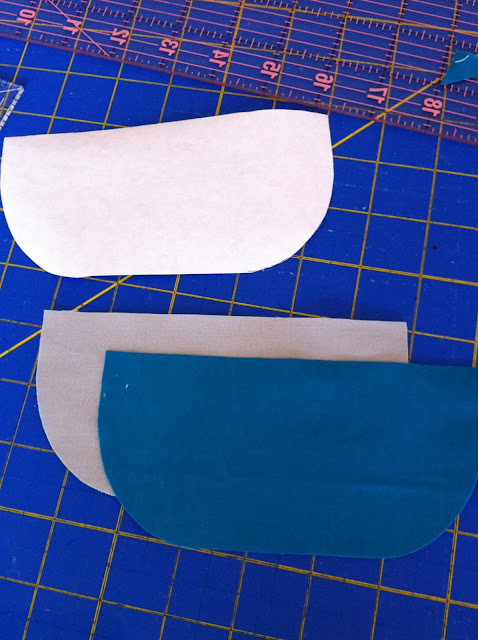 I like to use freezer paper for my patterns, but use whatever paper you have on hand. 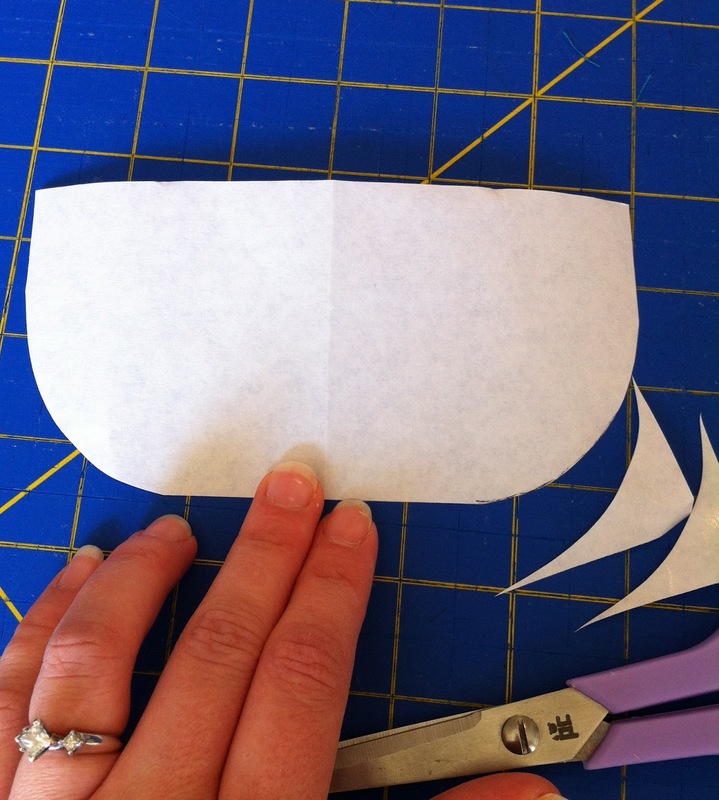 Cut a rectangle to 6"x 3" and fold it in half so the short sides meet. 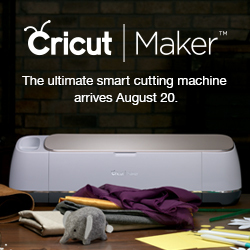 Cut off the bottom corners so they curve gently. Use your pattern to cut out one from the main fabric and one from the lining fabric. 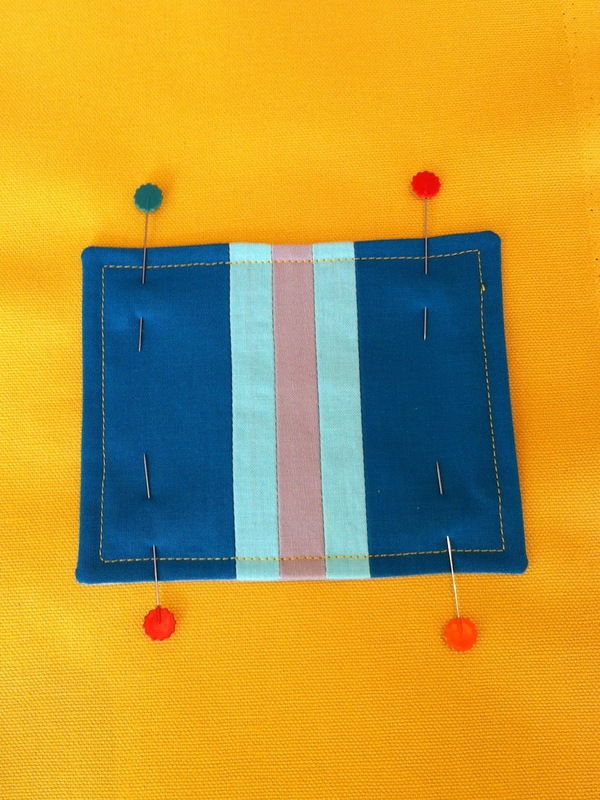 Pin right sides together and sew only around the curved edge with a half inch seam allowance. Leave the entire straight edge open. Trim seam allowance to 1/8," turn right side out through the top of the flap, and double topstitch the curve at 1/4" and 1/8." Now pin the flap onto the garment right sides facing, so that the straight open edge is just slightly above the top of the patch pocket. 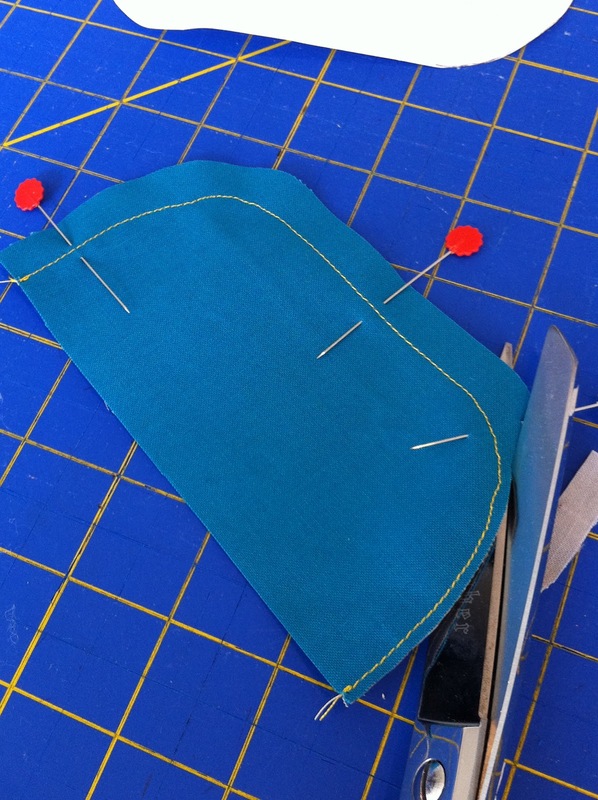 Sew it down 1/4" from the raw edge and then carefully trim the seam allowance down to 1/8." 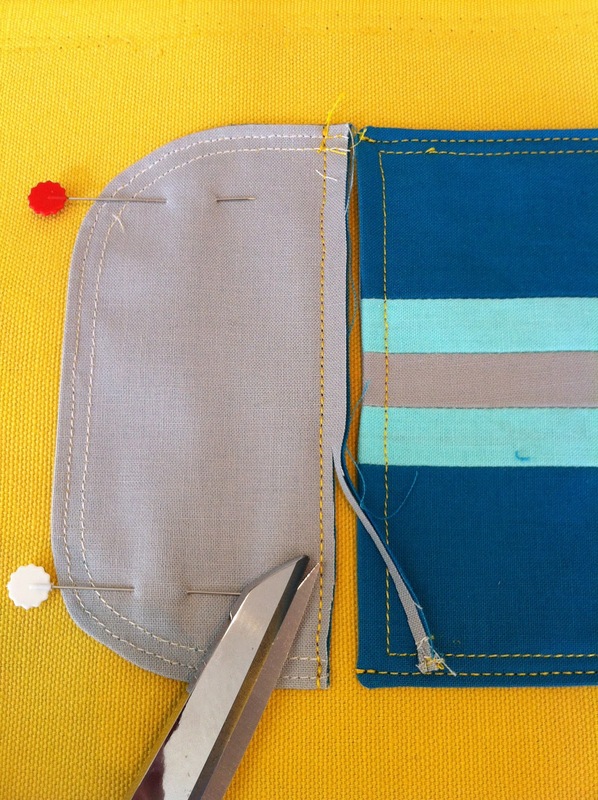 Fold the flap down, press, and double topstitch at the top, and that raw edge will be enclosed underneath. If you'd like, you can add bar tacks at the top corners to keep the flaps from sticking up like I did on the original pants. Your professional looking pocket is done and ready for action! LOOOOVE THIS! Am totally going to use it, maybe even this week - I am always looking for ways to make my guy's style a little more distinct - this is awesome. Thank you so much! Great tutorial thanks! The pockets look great and you make it look so easy. Now, to find something to put pockets on!